In the book, The Subtle Power of Spiritual Abuse, there are EXCELLENT thoughts on the subject of false peace in abusive churches. (As an aside, if you or a loved one have ever endured abuse at the hands of religious leaders, read this book immediately. It could change your life.) Enforcing false peace is a commonly used tactic of people who have the most to gain from covering up problems within the church and instead turning the blame on those who are hurting. Jeremiah is commonly referenced in regards to this phenomenon. Let’s talk about how this is STILL going on today. Take a look at this meme. Look familiar? I’m sure you’ve seen it somewhere on your social media timelines. It’s certainly made the rounds several times on mine. It still makes me sick to my stomach. Just because you point out a problem, does NOT make you the problem. I recently watched a public attack against a friend of mine after he posted that he was saddened by a toxic, commercialized Easter church service. (His words were much kinder than mine) Within moments, an all-out comment war had ensued, spearheaded by low level staff from the profit machine..err…church. Every tactic in the book was used, including shame, manipulation, fear, and finally a blatant “stop talking or else”. And this is just what we saw publicly. Religious leaders killed Jesus to keep Him from calling them out on their crap. It didn’t work then and it won’t work now. Folks: that isn’t church. That is the mafia. That is a cult. And it is just the tip of the iceberg. It is one of the very few examples of the “Can’t Talk” rule within a religious setting that DOESN’T involve illegal sexual, financial, and/or violent activity. If you are trapped in that kind of environment, seek help. If you are being victimized and silenced, reach out. Let’s stop forcing people to shut up so the broken system can keep on being broken, corrupt and narcissistic leaders can keep on being corrupt and narcissistic, and meanwhile, the world looks at the mess we call church and holds their noses at the stench. Let’s stop shaming victims in the name of a God who cares about them deeply, regardless of whether they happen to be inside or outside of your church doors. Let’s stop blaming victims and take a long, hard, honest look at the politicized, commercialized religious system that hurt them in the first place. Let’s stop demanding that people stay with their abusers, even if that abuser happens to be a spouse, family member, pastor, or even an entire church. Let’s stop screaming, “PEACE, PEACE” in wounded people’s faces to cover up their cries and actually get to work making peace a reality in their lives. Let’s stop idolizing pastors and other religious leaders by placing them on an untouchable pedestal and turning a blind eye to their abuse and abusive teachings. If you know people are being hurt and you do nothing, please understand me here very clearly: YOU are ACCOUNTABLE for that. You are COMPLICIT in that abuse. Fix it. Yeah. One argument I’ve heard a lot from Christians is “If you talk about this, you’re going to give Christianity a bad name and then nonbelievers won’t trust it.” Well, they already know, and they know Christians are lying about it. Hiding it is not only not solving the problem, it’s creating an additional one that gives Christians a bad name. False peace is never a good peace. I have experienced spiritual abuse both from church leaders and when I was engaged to a fundamentalist. I wish you had written this article 4 years ago! Great job! Spot on. Where there is no accountability, there is corruption. You can count on it. Also, I am planning to incorporate the words “jot” and “tittle” into my everyday conversations. Thank you. 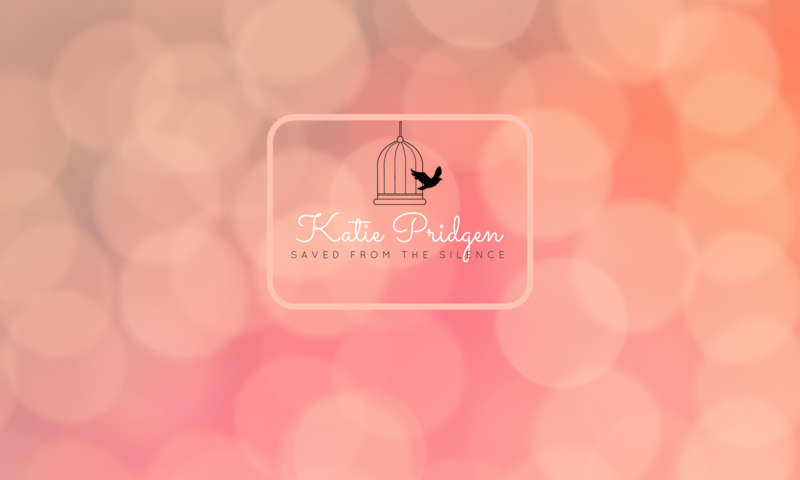 Keep writing, Katie – you are saving lives! Thank you so much, Pastor Cat!! You are such an encouragement and inspiration!!! Great post, Katie. I, too loved your KJV Bible words being re-purposed. But my fave was your calling it the mafia. That is so accurate but never discussed. A very closed insider system with its own culture and with very distinct, secretive and punitive ways to keep its members in line. OR ELSE. Yep, that is definitely a mafia. Wow. You may or may not remember me😉 but I just wanted to say “thank you so much for starting this blog!” I really needed to read this as I am struggling with my church attendance and questioning it a lot. I grew up in a Christian home, attended a Christian school and even attended a Christian college for a small period of time. At the moment, I am starting to question my beliefs due to the actions and talks of the church (Fundamental Baptist church) when one member(S) decided to leave and attend a new church. I do not appreciate the hate and belittling of the church leaders. Instead of encouraging the members who are in church they bring up people who left the church talk negatively about them. Not cool or Christian like!